W. W. Norton & Company, 9780393009828, 64pp. In an essay on Richard Hugo, the poet James Wright called him "one of the precious few poets of our age . . . who has, and sustains, an abiding vision." 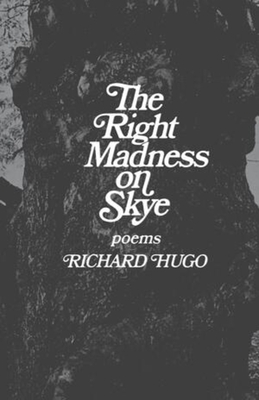 Hugo took that vision to Skye with him: he makes Scottish history, legends, and "triggering towns" his own in these new poems, just as he has earlier done in poems of the American West. And in making them his own, he makes them our own as well. He continues to be, in Wright's words, "a great poet, true to our difficult life.